How Do I Know If My Client Has Viewed My Proposal/Contract? Receive alerts that keep you updated on everything from when the proposal was viewed to when it’s signed! Once you have sent your proposal/contract to your client for approval you will be instantly notified via email and a in app notification when your client has viewed the email and proposal/contract. 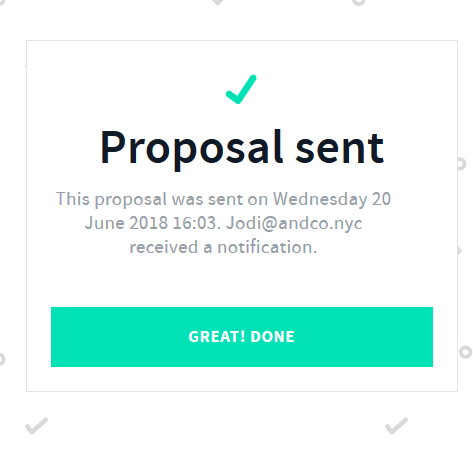 You can also view the "Sent" proposal/contract via the proposals and contracts tab where it will show a "sent" status.